View the entire table of contents for the April 30, 2014 issue. Piedmont, literally meaning "at the foot of the mountains," nestles against the Alps in the northwestern part of Italy. Although there are a number of small Denominazioni di Origini Controllate (DOCs), or appellations, in the northern and western parts of the region, it's the Langhe, Roero and Monferrato areas, clustered in Piedmont's southeast, that garner the most attention. Centered on the cities of Alba and Asti, they are home to Piedmont's best-known appellations and grape varieties. Because of different aging regulations for the various wine categories, the range of reds exported from Piedmont each year usually spans four vintages. Wine Spectator's Bruce Sanderson explains. 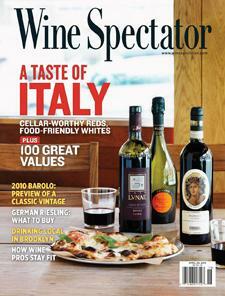 For the full article, check out the new issue of Wine Spectator, on newsstands March 17, 2014.